If you are interested in reliable and honest Scion service, you are in the right place. 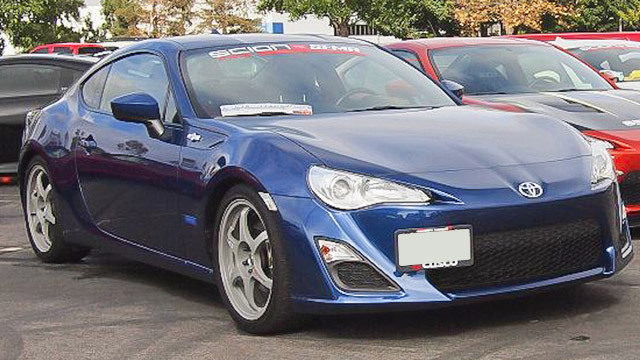 John’s Automotive Care is proud to be the auto repair shop of choice for Scion owners in San Diego. Our auto mechanics are ASE-and Master-Certified and wield the highest-quality tools and technology. You will be hard-pressed to find another facility for your Scion with as much skill, passion, and experience as ours. There are quite a bit of working parts in your Scion car’s engine, and when something doesn’t seem right, it takes a bit of troubleshooting to pinpoint the issue. Don’t worry, our team at John’s Automotive Care won’t balk at the challenge. In fact, John Eppstein, at the young age of 15, transformed a junker into a four-wheeled work of art. This level of detail allows him to resolve just about any problem that drives into our auto repair shop, and the rest of his team share his level of passion and precision. Call John’s Automotive Care today , if you have specific questions about your Scion or would like to schedule an appointment. Our auto repair shop is located at 6267 Riverdale Street in San Diego CA 92120. We look forward to securing the longevity, driveability, and safety of your beloved Scion.